Hey friends! 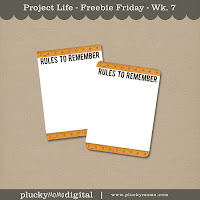 I am still working away on my Project Life book. Some weeks fall together easily...and some, well, not so much. 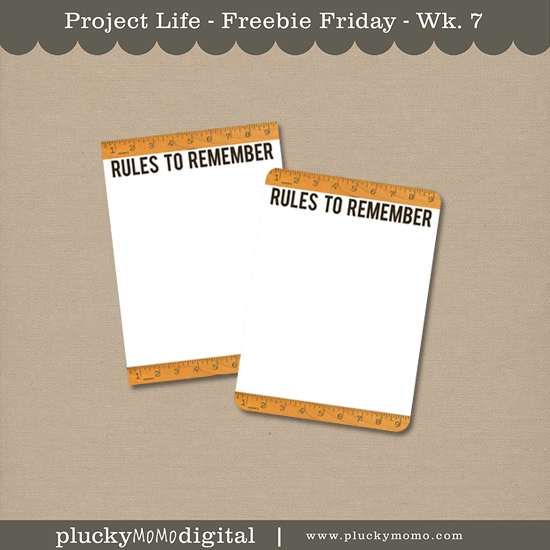 I am finding that on the weeks where things are hard to get documented, I am turning to freebies I find on the web. 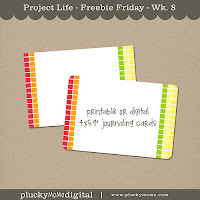 You can find my first set of Project Life Freebies here. And lucky for you, I am rounding them up for you this week. Now, on to the freebies. 1. My Sisters Suitcase has the ADORABLE journal cards. Love the fun colors! Make sure you get both sets while at their site! 2. 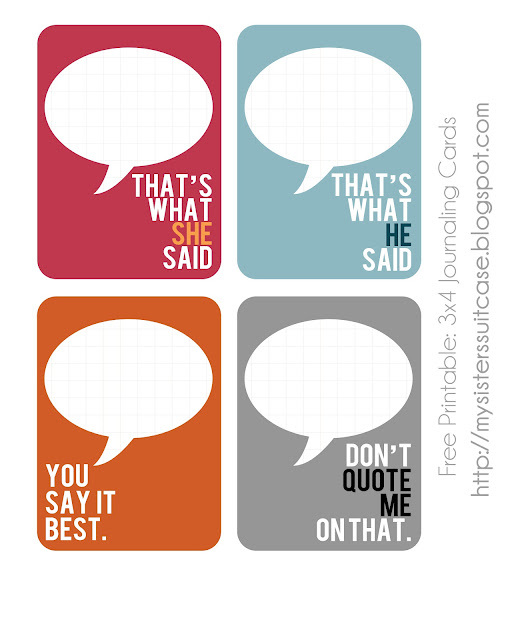 Craft Gossip has some really versitile 3x4 cards. Love all the patterns and colors! These would be great to have preprinted and ready to go at a moments notice! 3. 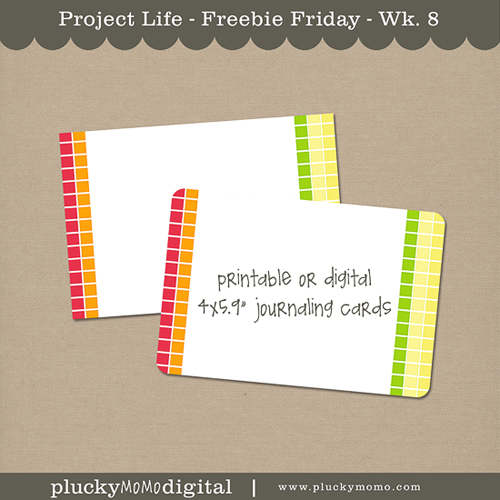 Persnickety Prints﻿ is offering some fun 3x4 cards as well. These were emailed to subscribers during NSD, and well, I love them. So versitile and cute! 5. Write.Click.Sprapbook gives us PL freebies on a regualr basis. My favorite so far? These. But they have way more on their website! 6. Miss Tiina﻿ has AMAZING freebies on her blog. I seriously love her work. So fun & colorful! Oh, and follow my blog (see on my side bar where it says "Join This Site"? Click on that and join my site! 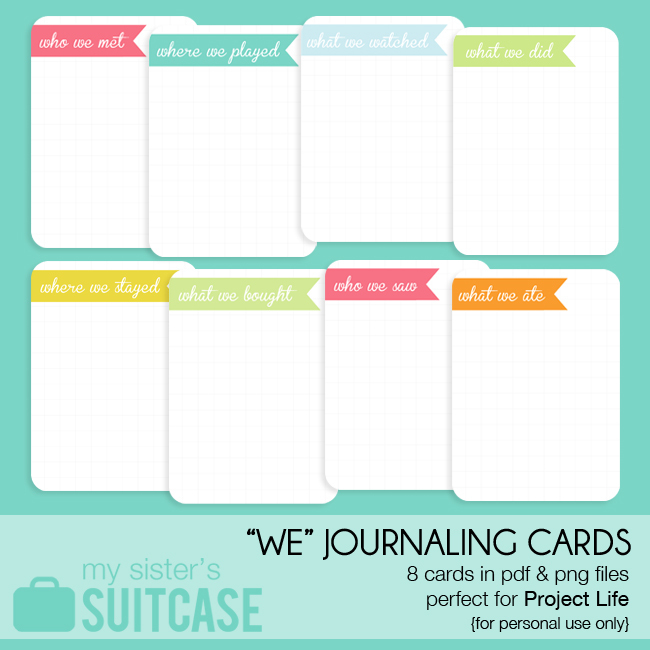 Thanks for including the PL printables from write.click.scrapbook. We appreciate the shout out! 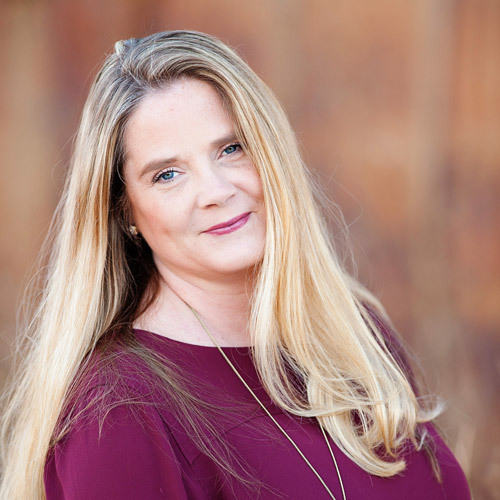 Great links, thanks for sharing! I'm off to check them out. It's kind of you to take the time to share all of this! Wow! Very cool of you to share. Thanks!